Eclectic Sydney based five-piece Levingstone make indie soul music; rich with imagery, and bathed in lush harmony and groove. Influenced by jazz, future soul, RnB and progressive genres, and citing artists such as Snarky Puppy, Radiohead and Hiatus Kaiyote, the band's sound is informed by many inspirations, but has a distinct flavour of its own. After the release of their debut EP Modern Burials which garnered the band support from stations including Triple J/Unearthed, FBi, 2SER and Triple RRR, and blogs across the country and abroad, the band embarked on an east coast tour that culminated in a sell-out hometown show, before retreating to the studio to work on their next release, scheduled for late 2017. Levingstone has shared stages with artists such as 30/70, Tulalah, Lyre Byrdland, Glenn Lumanta, MMG and Baldwins, and has established itself as an act to watch in the Sydney soul scene, with the band's live show lineup often expanding to include a horn section and backing vocals, taking the multi-layered songs in to full flight. 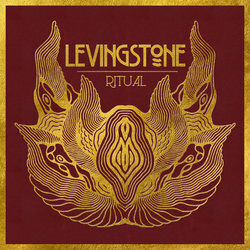 Described by the band as a "song about death you could dance to", 'Ritual' is the lead single from Levingstone's EP "Overland". The song features a golden horn section that colours the tight, pulsing rhythm framing the playful vocals, and showcases the band's penchant for rich imagery in their lyrics.